According to mujitra, this is “the bible for Japanese newton owner.” Flipping through the book, you can understand why. 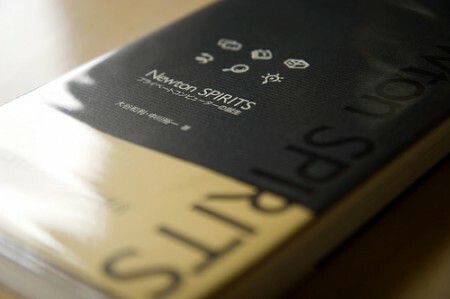 Published by NTT in 1997, Newton Spirits is an illustrated how to guide, product history, technology platform reference, and overview of all things Newton — including software, hardware, screenshots, prototypes, and specifically the use of the Newton in Japan. Japan’s Amazon.com has it available, though you have to wade through the Japenese to order your own. Morgan at Makkintosshu grabbed his own copy recently. So jealous. Posted by davelawrence8 at 6:35 am on May 3rd, 2009. No comments... » Categories: books. 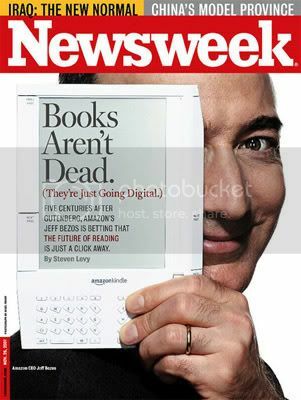 Tags: amazon, book, eMate, japan, japanese, messagepad, newton, spirit, splorp. Subscribe via RSS. Cisco / Linksys iPhone putts along. Turns out it’s still being sold by Linksys, who got bought out by Cisco – and for a pretty decent price (it’s even on sale at Amazon.com). What is that other iPhone? Back when Apple was announcing their iPhone, Cisco said they had owned the rights to the name since 1996, and were planning on releasing their Skype-based model back in January. Then they sued Apple for trademark infringement, and the two agreed they could both use the iPhone name as long as they didn’t step on each other’s lawn (but I’m sure some of Steve Jobs’s excellent negotiation skills have something to do with it). Cisco’s iPhone sounds like a pretty cool deal: hook up with Skype over wifi without needing to hook up to a computer. 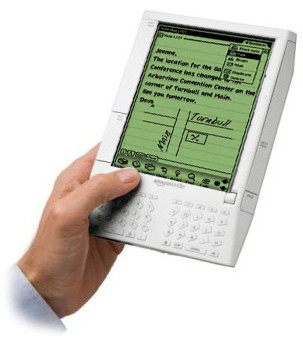 It’s not as fancy as the Apple iPhone – no music or touchscreen or PDA-like options – but it was never meant to be a direct competitor. We have a lot of family all over the world, and this phone frees us up completely from our computer. With WiFi, we can get all our Skype calls anywhere in our home at any time. The only drawback is the battery life, which lets the phone last only 2 days max between charges. 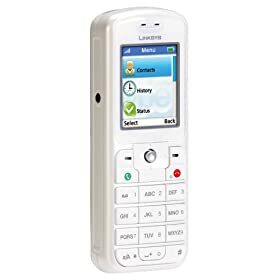 Otherwise, we operate it virtually the same as any cell phone…Without a doubt, the Skype phone has allowed us to keep in touch with people all over the world for virtually free. All our calls are free, and the sound quality is excellent. So there you have it. Linksys/Cisco keeps cranking them out, and Skype users keep calling grandma in Poland. And guess what? There’s yet a third iPhone out – this one by e-blue. Only it’s spelled “i-Phone.” See that dash? That stands for originality. Posted by davelawrence8 at 8:38 pm on December 15th, 2007. 4 comments... » Categories: ipod/iphone. Tags: amazon, apple, cisco, iphone, launch, lawsuit, linksys, PDA, skype, telephony, trademark. Subscribe via RSS.